LDS composer Rob Gardner has married the lyrics to a new setting that has echos of the original melody. It is set as a song with orchestral accompaniment (and is quite lovely, if I may say). It better reflects the feeling of the lyrics (again, all in my opinion). What are your thoughts on the lyrics and the hymn tune? 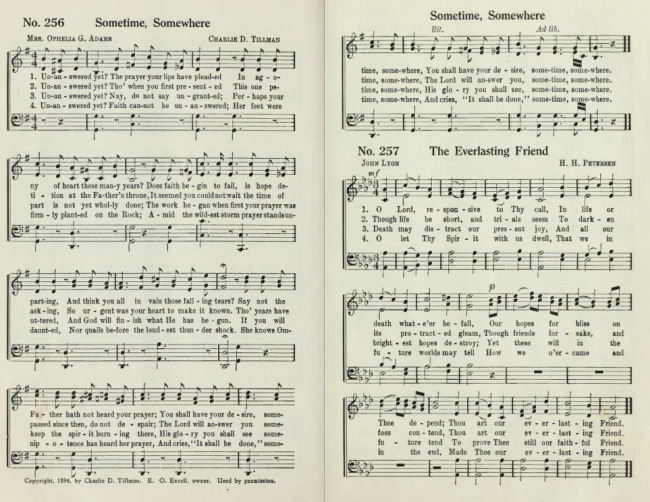 Do you think this hymn should be included in the upcoming hymnbook? Perhaps you are the one to write a new four-part setting. We’d love to hear your comments.